Until his license was suspended, naturopath John Catanzaro was a role model at Mars Hill Church in Ballard, Washington—a respected contributor to the church’s Resurgence blog, where he urged readers to “know Jesus Christ as a personal Savior, Guide and Friend.” The license suspension came because Catanzaro charged cancer patients thousands of dollars for questionable treatments he developed himself without appropriate research and review. Now Catanzaro’s presence has been scrubbed from church media as leaders move to distance themselves from an awkwardly public transgression of medical and scientific ethics. Unfortunately for them, scrubbing the websites doesn’t change the fact that the Mars Hill worldview is painfully consonant with how Catanzaro practiced medicine—and may have made church members with cancer particularly vulnerable to questionable treatments. The Mars Hill approach to Christianity is built on hierarchical authority, in-group trust, and suspension of critical thought in the face of poor quality evidence. Each of these, it would appear, contributed to Catanzaro’s appeal, and I will address each in turn. Authoritarianism. As a mega-church franchise owner, Pastor Mark Driscoll has nurtured a cult of personality in which he and his inner circle receive a level of adulation that is rare outside of Hollywood. Catanzaro, it would appear, was a member of this circle—once referred to by Driscoll as “my doctor and friend.” Mars Hill theology teaches a hierarchy of authority in which good Christian children and women submit to the divinely appointed leadership of men, who in turn submit to the will of God as interpreted by church leaders. In this model of reality, trust in authority is considered a virtue. 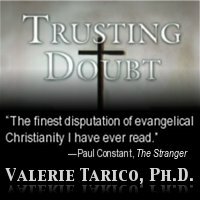 Doubt is considered a sign of weakness or prideful insubordination. A person in this frame of mind is less likely to question, to scrutinize evidence and logic, or to seek a second opinion when given advice or information, even information that may affect his or her wellbeing. In-group dynamics. Questioning is made all the more unlikely by the social dynamics of the shared religious community. Scientific study suggests that one function of religion is to increase altruistic behavior and trust among insiders while decreasing altruism and trust toward outsiders to a slightly lesser extent, a phenomenon called “parochial altruism.” Mars Hill consciously amps up this aspect of religious tribalism—encouraging members to socialize and seek support within the church and to avoid close bonds with outsiders except as conversion opportunities. Mars Hill practices retention techniques like early marriage, mentoring, and “shepherding” in which older members house young singles until they can be paired with godly partners. Techniques like these create a soft-walled community that enhances member retention through mild and mostly positive mind-control techniques that emphasize sharing and caring. An elder in Catanzaro’s position, is unlikely to be questioned because most of the time members do act with positive intent toward each other. Knowing that someone is a fellow member provides a shortcut that allows members to bypass the kind of cautious moves by which we evaluate another person’s integrity and intentions. Poor standards of evidence. When considering novel or alternative medical procedures, patients and family members are their own best protection against quackery. Mainstream medicine is subject to rigorous requirements for research before claims can be made about efficacy and non-harm, but even with these safeguards, complications and side effects get missed—sometimes to horrible effect. When it comes to “natural” supplements, practices and additives, the guardrails are mostly gone. As entertainer Tim Minchin jokingly put it: “By definition alternative medicine has either not been proved to work, or been proved not to work. You know what they call alternative medicine that’s been proved to work? Medicine.” Until a breach of practice standards or public safety become egregious, as in the case of Catanzaro, alternative medicine patients are largely on their own. But along with the authoritarian structure and social dynamics of Mars Hill, the group teaches a crippling approach to evidence analysis, creating a perfect storm of vulnerability. The kind of biblical literalism endorsed at Mars Hill is increasingly difficult to sustain in the age of information and internet. It has long been abandoned by mainline Christian scholars, who have adapted their understanding of scripture to findings in the fields of archeology, anthropology, linguistics, biology, neuroscience, and more. When naturopath John Catanzaro, elected to short cut the scientific method and offer novel “natural” cures, his Mars Hill patients were poorly equipped to see the err of his ways, and some of them may have paid dearly. Indeed, the Mars Hill mindset may have been part of what lead Catanzaro to his own downfall. One can only hope that the website scrubbing undertaken by church leaders has been accompanied by a more private process of soul searching. 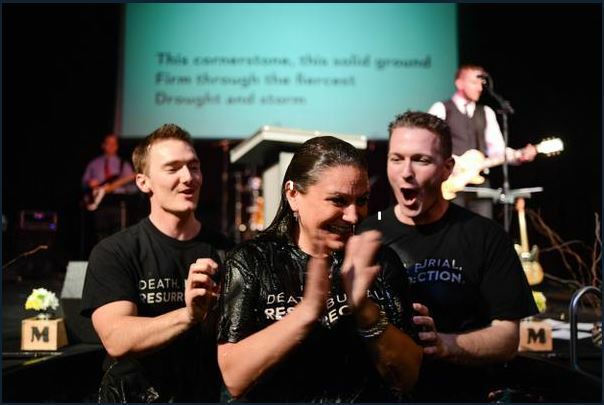 Gallery | This entry was posted in Christianity in the Public Square, Cognitive Science and Christianity, Uncategorized and tagged Calvinism, Christian fundamentalism, Mark Driscoll, Mars Hill Church. Bookmark the permalink. Thank you for an excellent analysis of a religious group and its control mechanisms. When will the church wake up to the reality that “spirituality” is but a veneer for the core problem – human nature! A reading of Christianity Today reflects much evangelical angst about leadership that has allowed the love of money and socially unaccepted sexual behaviour to run amok. KNOW THYSELF is surely the way forward – and disperse with displaced ideals and projected imagery. Thank you for your balanced articles that I always read with relish. As an ex-evangelical, I am now truly blessed with the ability to THINK outside the religious box! That story clearly illustrates the mechanisms that religions, particularly by those of a heavy-shepherding style, have in place to reduce and overcome cognitive dissonance amongst their flocks. It’s frustrating that we are so vulnerable to these mechanisms. The way I picture it, religion has been optimized by natural selection to best exploit our emotional attachments and rational glitches. Susan Blackmore discusses this very point – religions as “memeplexes” – in her book The Meme Machine. TWO: First to HinduIDF – the last Reply before me: It is good to see apparent evidence that your adherents (sp?) to your Religion understand and accept this anaylsis. Thank you. To Valerie: Comp[letely accurate as always. The usual BRAVO! Couple thoughts re two headings- Ingroup Dynamics, and Poor Evidence Standards. The First: “….mind control techniques…. Elder…Catanzaro……most of the time act with positive intent toward one other….” I’d go so far as to “conceed” – (for snagging on-the-fence possible readers) – something like “….generally honestly believe they are acting…..although it inescapable that exercise of Power- authority and money- operate here just as they do throught our culture.” OK, that’s my LAST suggestion as if I could suggest something to the Blogger who may be the most important to our ultimate Human survival in tghe whole B-sphere. The second: just further wondering- as a former long-time Kirklander- how to penetrate the widely believable Naturopath-Religion hook, given that we’ve got Bastyr “University” right here in our backyard. Groan! I would caution against asserting that somehow Dr. Catanzaro is a mind controlling snake oil salesman just because the media says he is. They don’t have all the facts and neither do you. Remember the media is controlled by the corporations with the large checkbooks, these same corporations involve the pharmaceutical companies, these pharmaceutical companies are the entities responsible for the start of this “investigation”. I would caution you Ms. Terico on what you say, it comes close to Libel, a cause of action in Civil Litigation, a field in which I work.